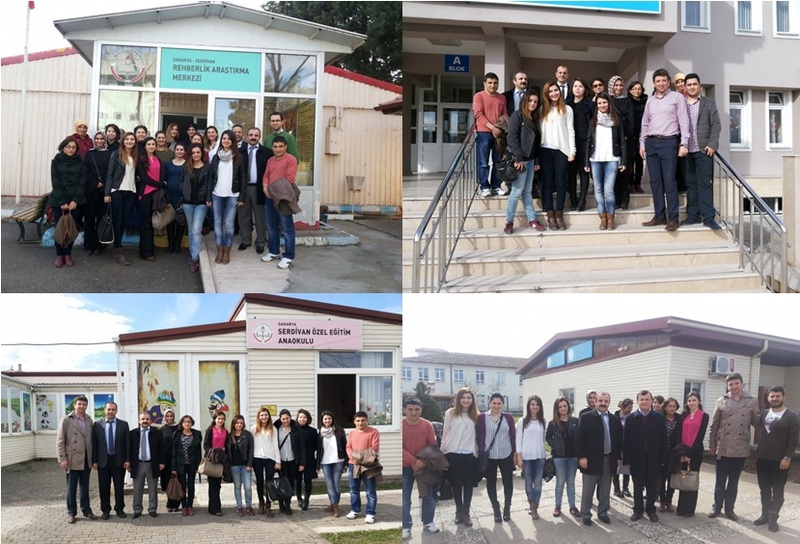 UBITED members and volunteers visited educational institutions in Sakarya city on 2nd April 2017. 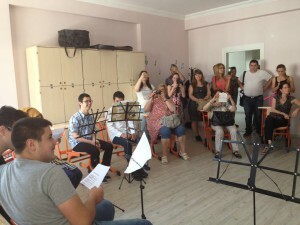 They informed teachers and managers about the project. Coach@Work Project Team participated 10th Job Fair in Pendik district. There were 25 companies represented by HR teams to meet with potential employees. More than 1000 employees registered and visited the stands of the companies. Ubited Team informed HR representatives of the companies and showed Coach@Work e-learning platform them to register and follow the free training activities. Barriers need to be overcome. The question, however, is: What barriers are we talking about and how can we successfully overcome them? Videos can address “limits”, and they can show the advantages of a barrier-free world of work. As part of the FOKUS WIRTSCHAFT events, significant videos will be made for every event, thus addressing various kinds of limitations. More important, however, is that the videos will demonstrate the achievements of people with assistance and how enterprises have successfully integrated these people into their staff. An additional topic deals with the role of people with disabilities as customers, thus bringing new products and services onto the market. Yesterday, 29th of May, the Coach@Work team organized a seminar to disseminate the project and its practical implementation in the field of Supported Employment. The participants came from several public and private institutions, NGOs, and experts in the field of education also were among attendees. 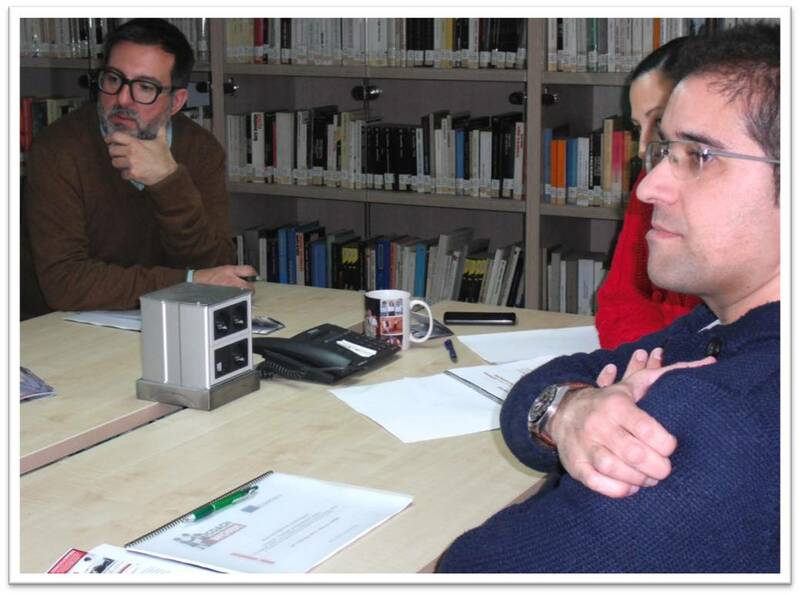 The attendees were really interested in the results of Supported Employment Consultants course that was carried out by Fundación Pascual Tomás, Spain and took place in its premises. 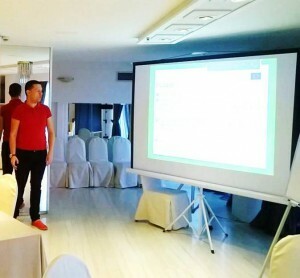 Moreover, the Coach@Work team informed the participants about the continuation and next plans for exploitation of the project. These plans aim to promote and increase the awareness of disability in our region and the improvement of employability of people with disabilities. Project Team participated 7th Job Fair organized by Pendik Municipality on 17th November 2016 in Istanbul, Turkey. 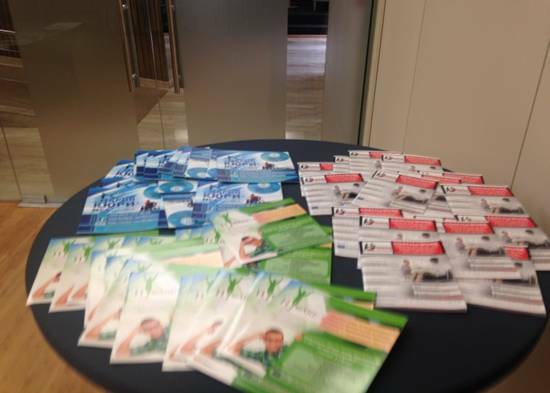 There were 16 companies represented by HR teams to meet with potential employees. More than 500 employees registered and visited the stands of the companies. Project Team found a chance to talk with representatives of the companies and gave project general information and piloting process details to register online learning system and follow the training activities. 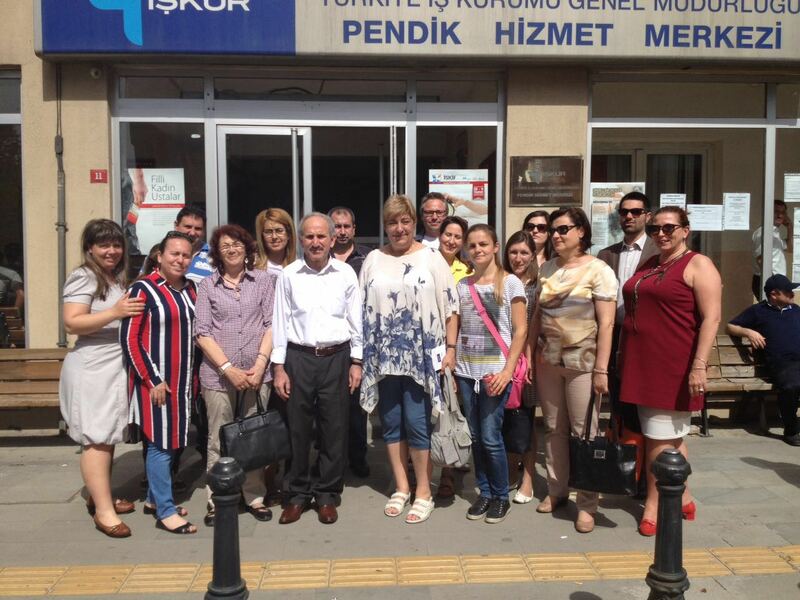 Project Team visited TOGEMDER Special Education Job School in Istanbul at 2nd June 2016. It was organized under blended mobility activity of the Project. 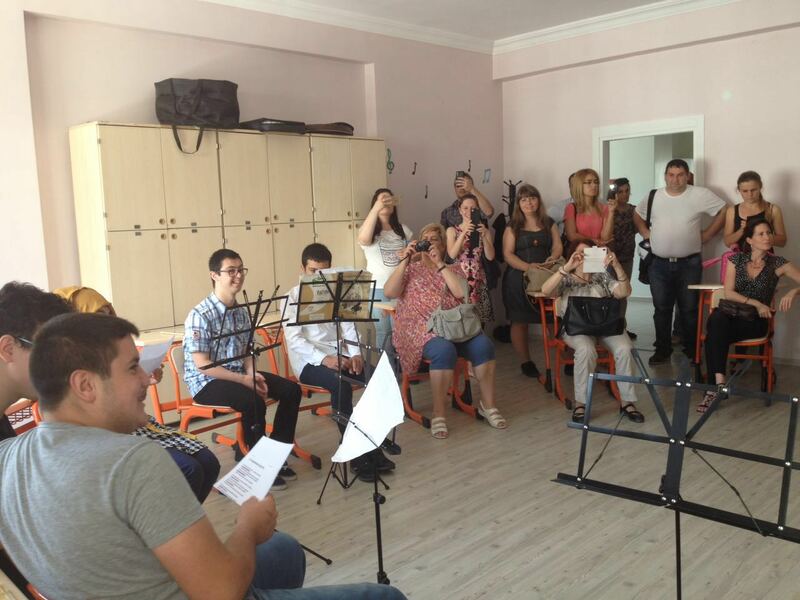 This school built by Social Development Center Education and Social Solidarity Association (TOGEMDER) supported by Presidency of the Republic of Turkey. In Turkey, Individuals with physical or mental deficiency younger than 21 years old and graduated from elementary school attend job schools. 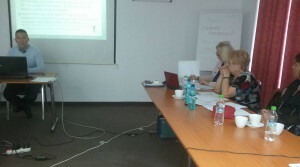 Project trainers and learners who would like to attend pilot e-learning activities of the Project informed teachers how to manage internship with 3days of the week for 2 semesters with volunteers help on and off job support. Trainers showed some practical examples to teachers as support activities to use in accommodation and hotel services, catering services, furniture and interior design, handcraft technologies activities. Family and public services, children services, disabled and elderly services, status of women, social aids, services for casualty relatives and veterans. 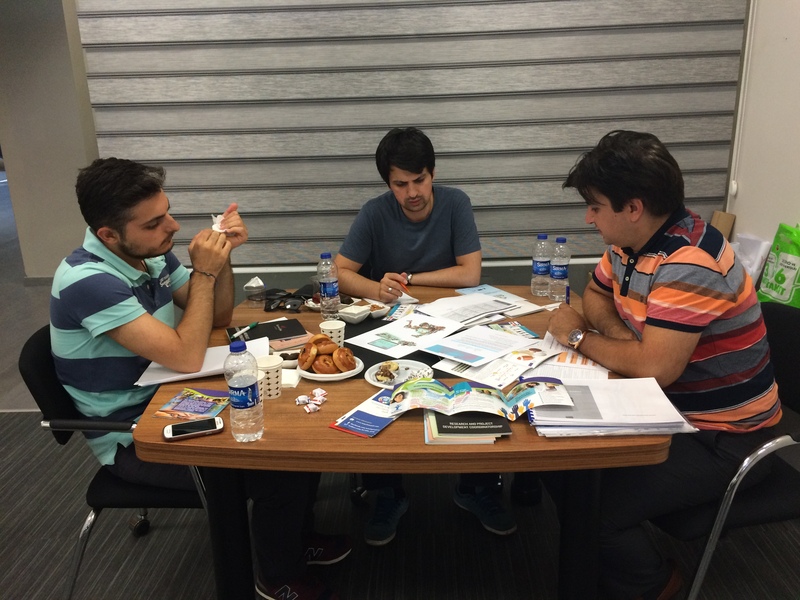 Project team visited Smiling Down Cafe in Istanbul at 1st June 2016. . 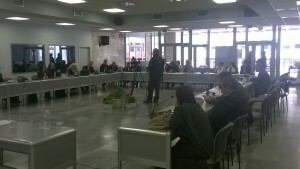 It was organized under blended mobility activity of the Project. This cafe has something very unique and that is for everyone who visits the cafe immediately visible. 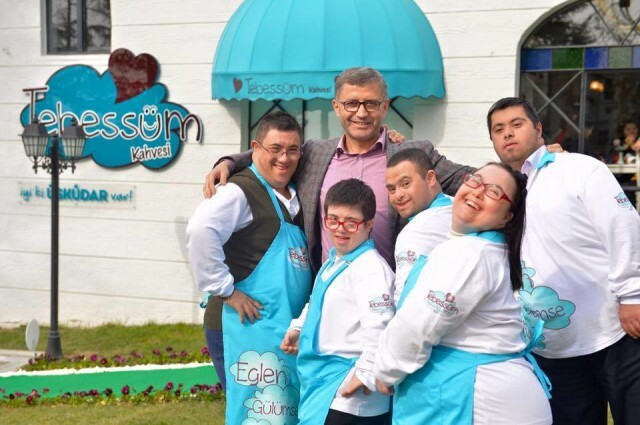 In the cafe, customers namely served by very friendly staffs that have down syndrome. Project team informed the professional instructors, special education teacher and volunteers from catering service how to work with those special workers, how to organize training in dealing with visitors, how to take orders and how to serve. The staff with down syndrome are engaged with their volunteer brothers or sisters who may accompany them when they for instance are tired or do not understand something. 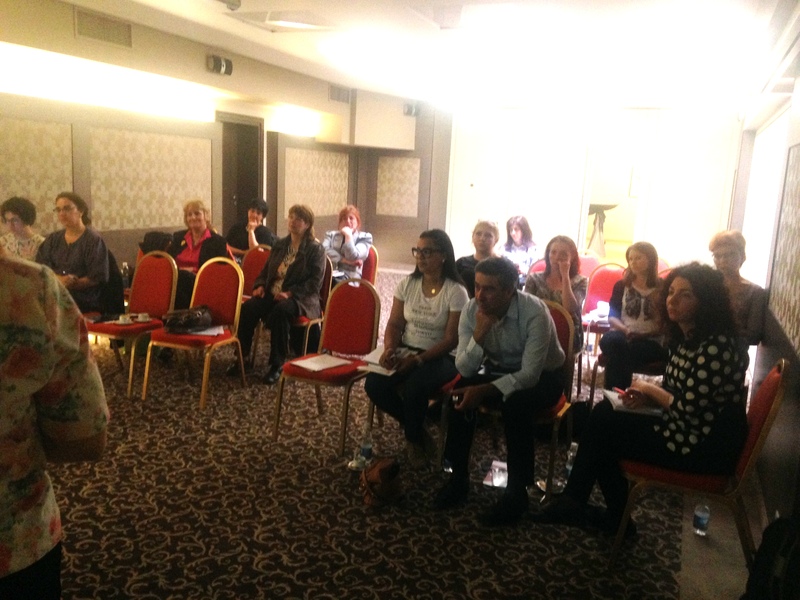 Project Team participated info-meeting at Down Syndrome Association in Istanbul, Turkey at 30th May 2016. 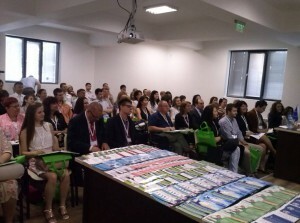 It was organized under blended mobility activity of the Project. After getting information from the representatives of the NGO about their local and national activities project and campaigns. 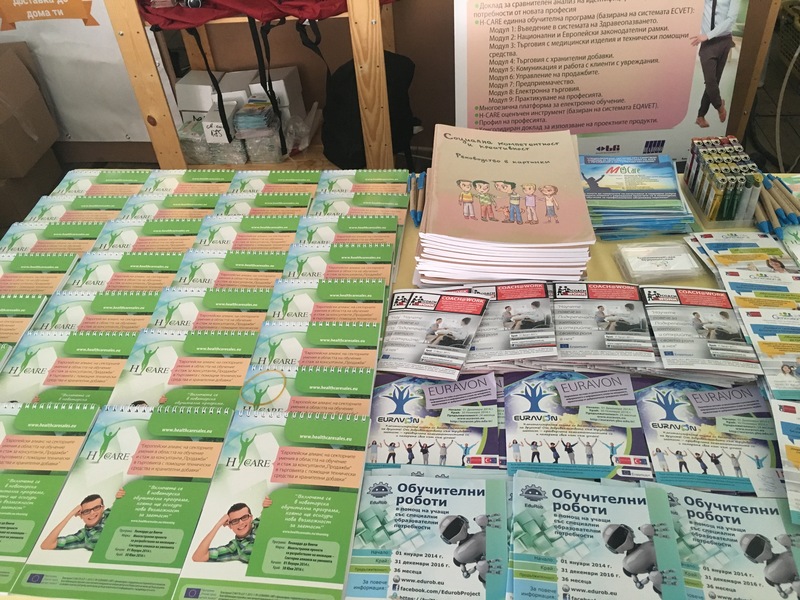 Project staff from UBITED, Zgura-M, Interprojects and JAW gave information how to manage effectively down syndrome health clinic, career and independent living academy, job coaching activities by volunteers in the organization. 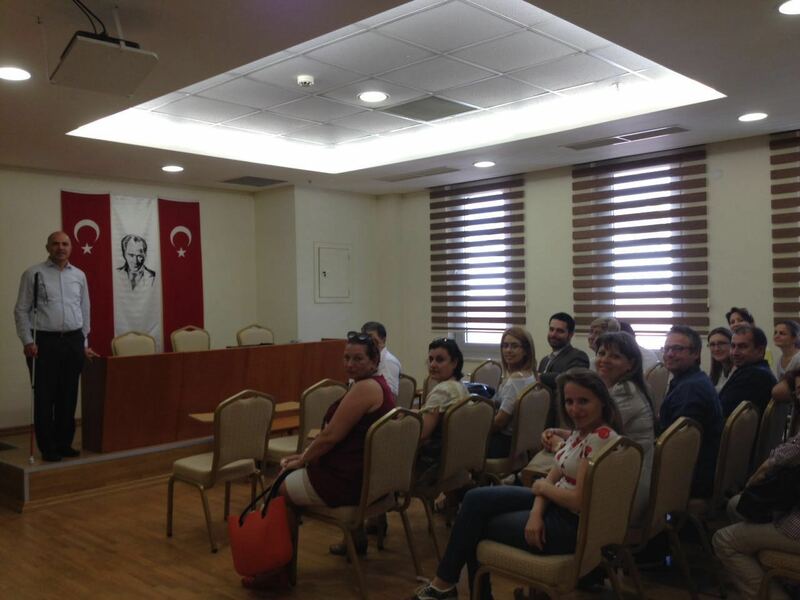 Participants visited Turkish Labor Agency (ISKUR) Pendik Office in Istanbul, Turkey at 30th May 2016. 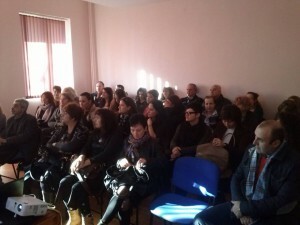 It was organized under blended mobility activity of the Project. It provides the service of job and employee agency effectively in accordance with the needs of labour market. It enables, maintains, develop and diversify the employment. The Agency provides a temporal income support to people who have lost their jobs via implementation of active labour market policies aimed at enhancing the employability of workforce. Minister of Labor and Social Security of Turkey made opening speech. COACH@WORK Project presented at Innovation and Entrepreneurship Fair (Sagif2016) at 13-14 May 2016. 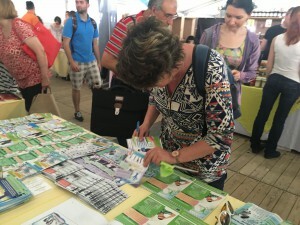 Main target groups of the fair were employers from industrial companies and factories, academicians of the universities and representatives of the local NGOs. It gave a good chance to give information about educational robotics and disseminate COACH@WORK Project. – how do we help disabled in different ways? – how do we make their life easy? – how do we share our ideas with them whether blind, non-hearing or with down syndrome. By Decree of the Minister of Education and Science from 29.07.2016 the new specialty 7620102 “Supported employment consultant”– third degree of professional qualification has been added to the profession 762010 “Mediator of the labor market” in the List of professions for vocational education and training (LPVET). According to the Employment Promotion Act the “Supported employment” means providing assistance to unemployed persons with permanent disabilities and unemployed from other disadvantaged groups in the labor market, according to their specific needs to benefit from unsubsidized employment.” The inclusion of the specialty in the LPVET will allow to the VET centers in Bulgaria to offer and conduct trainings in this specific area and to deliver officially recognized certificates on its practice. 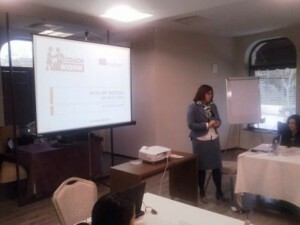 For the purpose of developing a state educational standard for qualification in the new profession the project results from the training modules will be used. This will create conditions for profiling of the individuals who prepare themselves for labor mediators so they could continue their studies in the second specialty, acquiring specific competencies in the field of Supported employment. 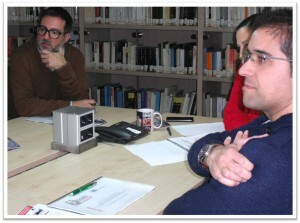 The idea is to provide an integrated social service, including five main stages: Selection and engagement of the direct beneficiaries of the service; Customer profile/ preparation of an action plan; Professional orientation; Searching and finding a job and involvement of the employer; Support at and outside the workplace/ career development. The Supported Employment consultant pays particular attention to the psychological aspect of the service and expresses professional interest with a focus on individual attitudes and motivation of disabled people. 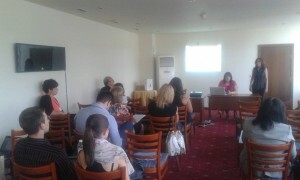 Zgura-M Team took part in an International conference entitled “Leadership and organizational development”. The event was organized by Sofia University in cooperation with other organizations working in the field of HR development. The conference continued four days between the 16th and 19th of June 2016 in Kiten, Bulgaria. The attendees were academics working in the field of psychology and HR, representatives of third-sector organizations, PhD students and other professionals. The conference program suggested variety of topics centred on strengthening of workforce and innovation. 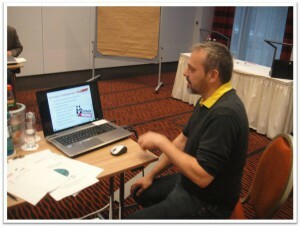 Zgura-M team had the chance to present COACH@WORK project during the opening day of the conference. Petia Grudeva gave 20mins presentation on social effects of the Supported Employment Model and how can it be introduced in Bulgaria. The participants were interested to receive information and materials describing the project and some of them expressed readiness to take part in the forthcoming testing phase. 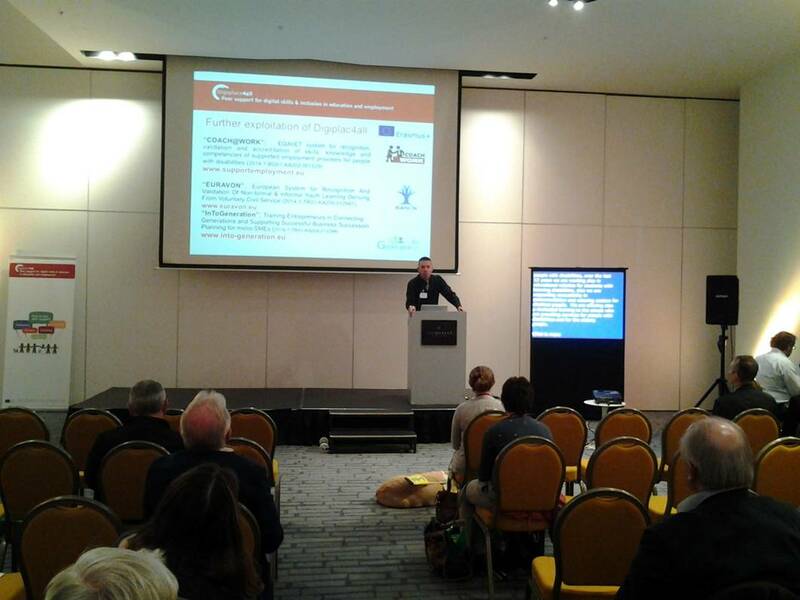 In addition, the report on Supported Employment Model was included in the conference proceedings. The event was well-attended by more than 200 hundred participants for the four days. 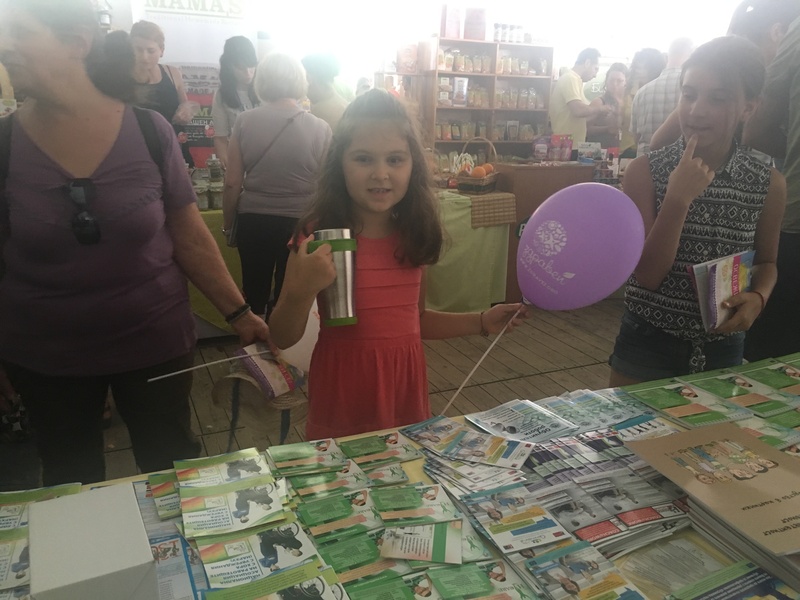 Zgura-M participated with its own stand within the Healthy and wealthy festival, on 11th and 12th of June 2016 in Sofia, the South park. On the stand the visitors had the chance to familiarize themselves with the opportunities for learning and qualification, which the Zgura-M projects offer. 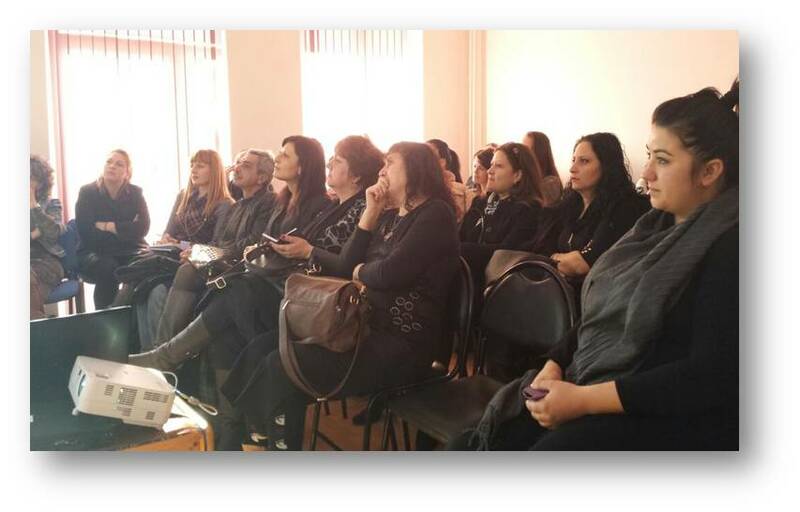 The training program, developed within the Coach@Work, attracted great interest among the HR specialists and representatives of NGOs who provide services for people with disabilities. During the two days of the festival, over 2300 people passed through the stand and had the chance to learn about the offered products and services. The supported employment model was discussed with various kinds of specialists in the field of employment and social work. 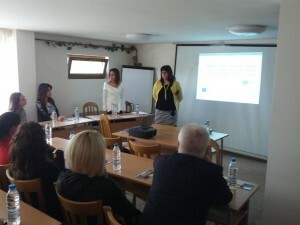 As a result, agreements for future trainings and participations in the pilot phase of the project in Bulgaria were made. 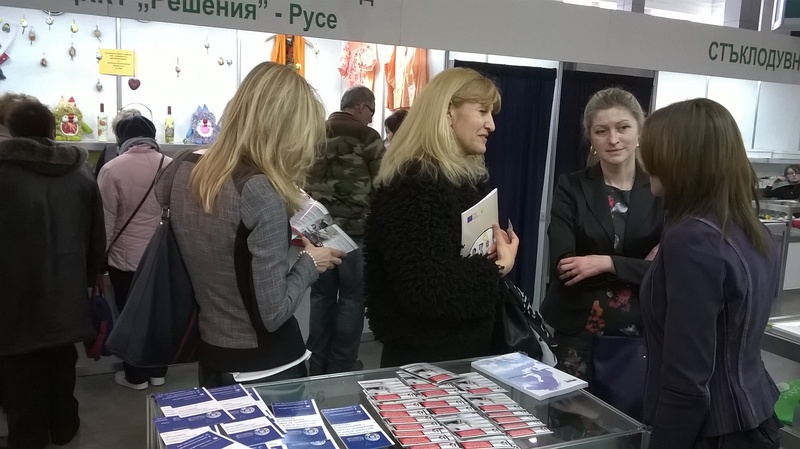 Bulgarian partners had the chance to promote COACH@WORK project within the Fifth International Fair of Enterprises from Social Economy held between the 31st of March and the 03rd of April 2016. 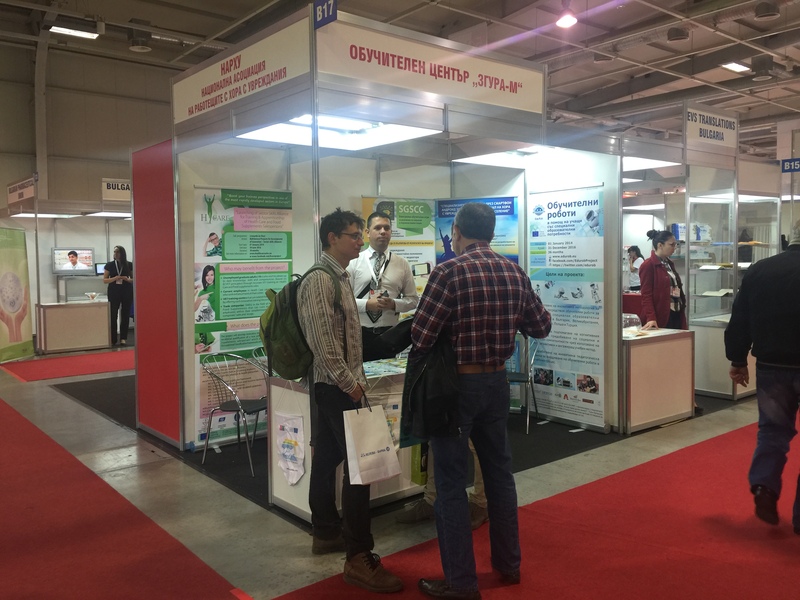 We participated as exhibitor in a specially arranged stand which was situated in one of the most communicative locations in the International Fair of Plovdiv. COACH@WORK Project was presented by its leaflets and banner, as well as .ppt presentation was given on the 2nd of April 2016. The most useful part of the event was the face-to-face contact with professionals who provide career guidance to people with disabilities who are very interested to participate in future piloting. 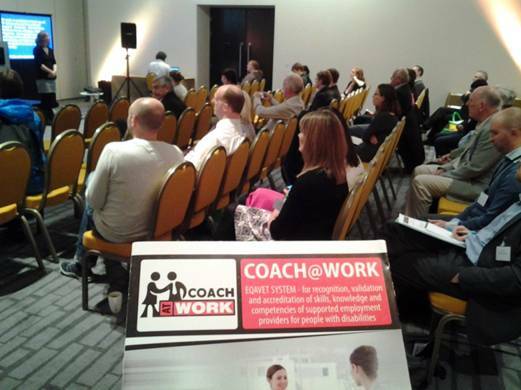 In addition, we involved people with disabilities in COACH@WORK project activities, and made them familiar with the supported employment model. One of the interesting contacts was with Dr. Miguel Angel Cabra de Luna, Director of Social Relations, International Affairs and Strategic Planning in Spain. He was eager to collaborate with us on different activities that contribute to the promoting of supported employment all over Europe. 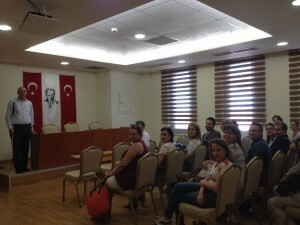 Other interesting contacts with project stakeholders were with Turkish representatives of Youth organizations, who also confirmed their willingness to collaborate with us. This was also a good chance to meet different professionals who may contribute with feedback to the development of COACH@WORK training program. 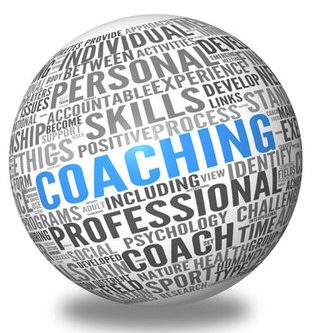 2016 has started with very good news about COACH@WORK project. 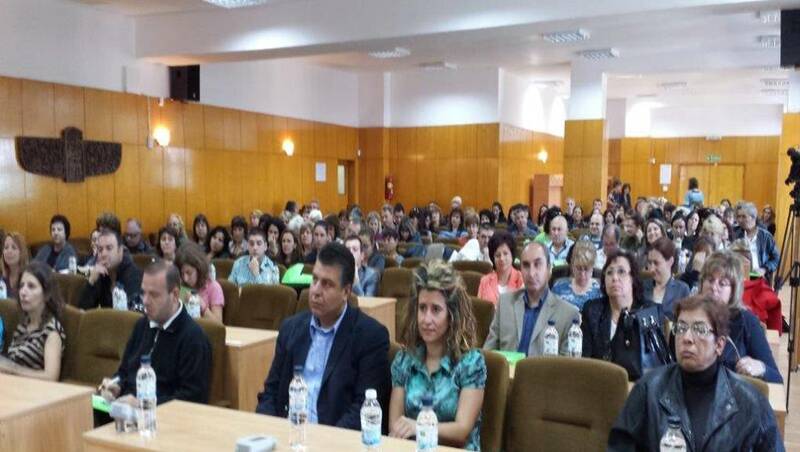 As a result of efforts made by the Bulgarian Partners, and especially NAVET and NFRI, the new profession is added to the National Classification of Professions. 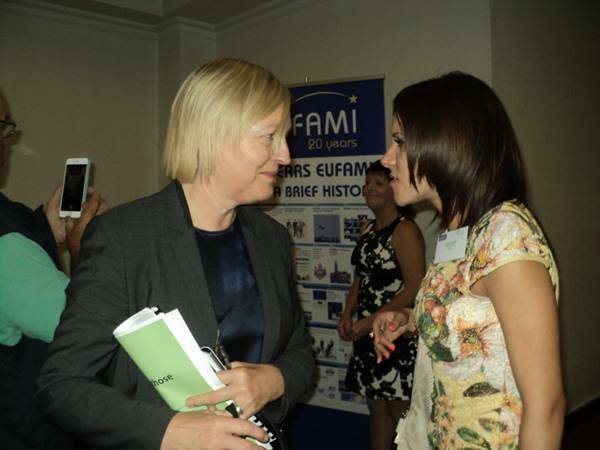 Supported Employment Consultant is already recognised and the Bulgarian employers can appoint such specialist within their organizations or enterprises. According to the Bulgarian Qualification Framework it refers to level 3. 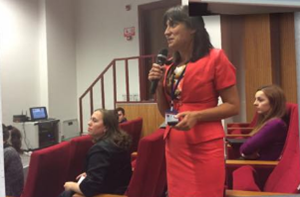 We will keep you informed about other developments and steps related to the introduction of the new profession in Bulgaria and other European countries. 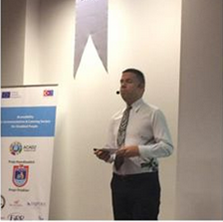 COACH@WORK project was presented during the SGSCC conference which was held on 2nd of June 2015 in Plovdiv. 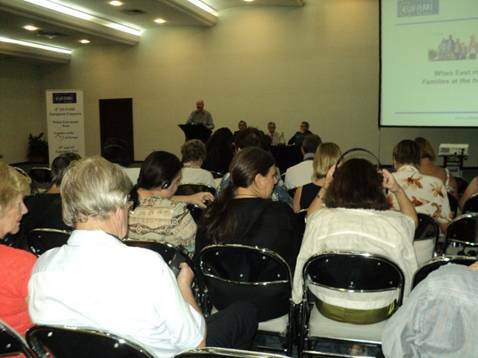 More than 100 beneficiaries (experts, policy makers, people with disabilities and their organisations) attended the event. COACH@WORK project enters in one of its most important and active phases. The team working on the project has the pleasure to inform you about their first big achievement regarding a change in the employment policy on national level. During the first months of 2015 the four Bulgarian partners combined their efforts and expertise and lobbied about the incorporation of Supported Employment Model in the labour low of The Republic of Bulgaria. 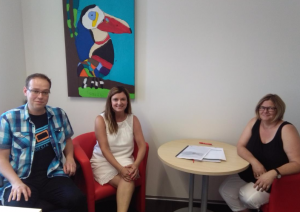 Ms. Elka Todorova, as a chairperson of NFEPD (National Federation of Employers of People with Disabilities) was admitted to the meetings of the working group for preparation of amendments to the Employment Promotion Law. As a nationally represented organization NFEPD submitted a written proposal for the incorporation of the Supported Employment Model as a tool for encouragement and support of people with disabilities. The proposal was motivated by statistics and of course by the success and good results that this model has achieved in other European countries. 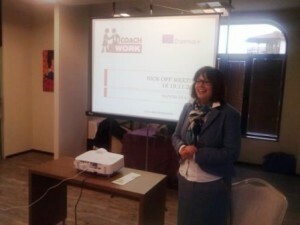 A part of the motivated proposal was the presentation of the COACH @ WORK project and its planned results. 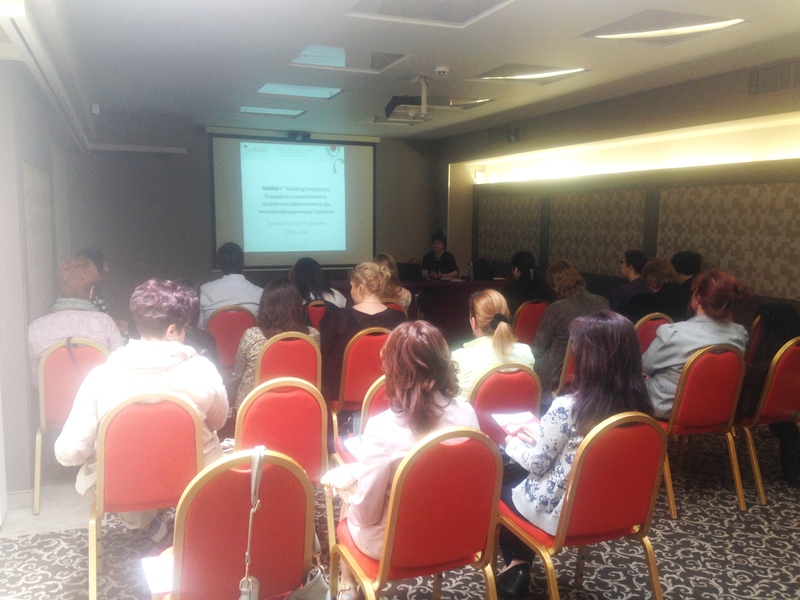 After extensive discussions and expert dispute the Bulgarian partners can proudly say that the model of supported employment is incorporated in the amendments to the Employment Promotion Law. paragraph 45 “Supported employment” is assistance to unemployed people with disabilities and unemployed people from other disadvantaged groups in the labor market, according to their specific needs to work on non-subsidized jobs. 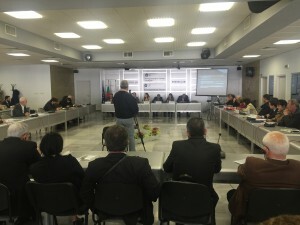 Changes were last discussed in the working group and adopted by the Council of Ministers and accordingly submitted to the National Assembly of Bulgaria on 2 July 2015. They have been also adopted by the National Commission on Labour, Social and Demographic Policy of the National Assembly. The adoption of the amendments by the other distributed committees is forthcoming. You can expect information about the meetings of the National Assembly in the autumn when the changes in the law will be voted. 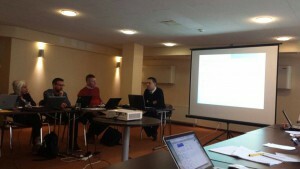 Meanwhile the Bulgarian partners continue to work actively on the other project tasks. 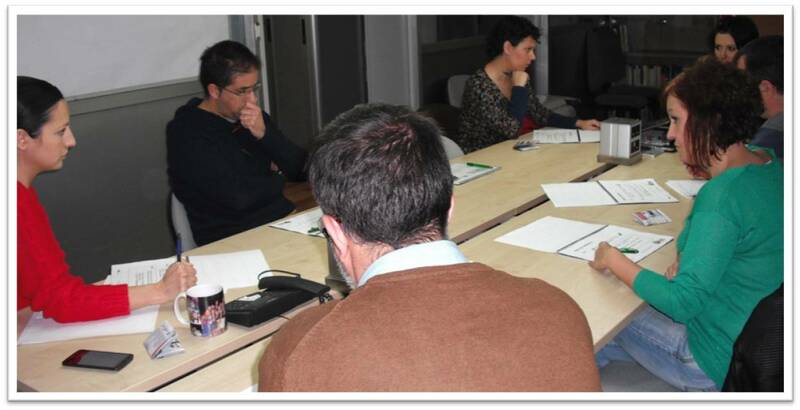 The National Agency for Vocational Education and Training is preparing a plan for incorporation of the new profession “Consultant on Supported Employment” in the List of professions for vocational education and training (LPVET). 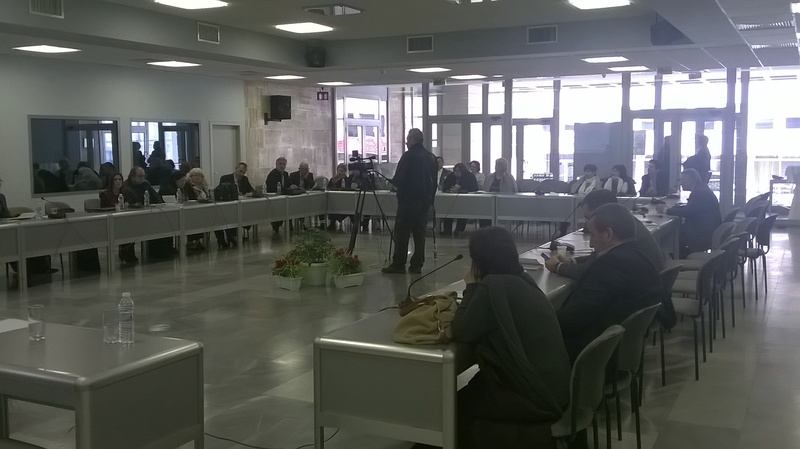 The third international partner meeting will be held at the end of October 2015 in Plovdiv. The achievements and activities implemented so far will be discussed during the meeting and an action plan for the other planned results will be made. 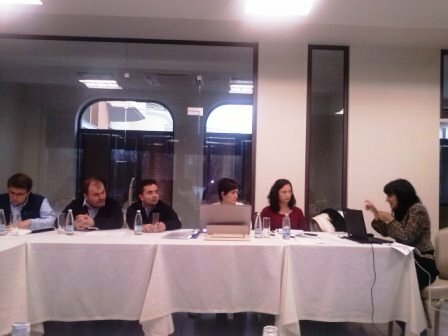 On 19th May, 2015 Zgura-M team has attended a Round Table on “Social inclusion and employment of disabled people through recognition and validation of acquired skills.” The event was organised by the European Center for Quality in the framework of REVADIS project which main goal is to develop instruments for validation of acquired skills for 5 types of disabilities, namely physical, hearing, visual, learning difficulties, and mental health problems. The participants within the event were representatives of NGOs working with people with disabilities, National Employment Agency, National Agency for Disabled People in Bulgaria, university professors from 2 Bulgarian universities, as well as two more Bulgarian partners of COACH@WORK project, namely National Federation of Employers of People with Disabilities and Interprojects Ltd. There were also foreign guests, mainly psychologists and disability experts from Romania, Spain, and Portugal. At the beginning of the Round Table the participants were familiarised with the proposed model for validation of acquired skills based on the five types of disabilities. Then the floor was given to the Bulgarian representatives of public institutions who presented the national policy and legislation regarding the employment of people with disabilities. In addition, Ms Elka Todorova from National Federation of Employers of People with Disabilities gave good practice examples of Bulgarian companies who have employed and retained disabled employees. 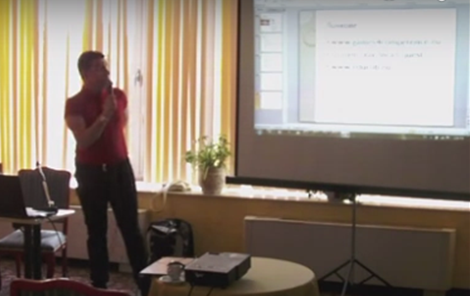 The Agenda of the event also included a thorough presentation of COACH@WORK project and its outputs. 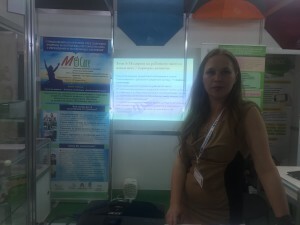 We may say that the concept of the project was just straight on the topic of the event because just before the presentation a participant asked whether there were any specially trained professionals who could provide complex support to people with disabilities in terms of proper vocational training and suitable employment. The answer to this question was affirmative as this professional is the job coacher. 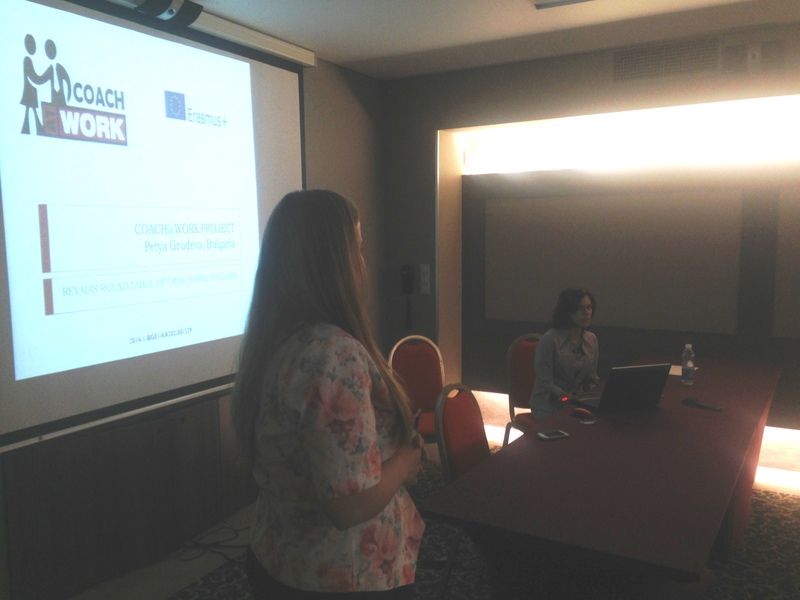 Then Petya Grudeva, on behalf of Zgura-M team, made an overview of COACH@WORK activities with emphasis on the job profile of the coacher and the respective training programme. 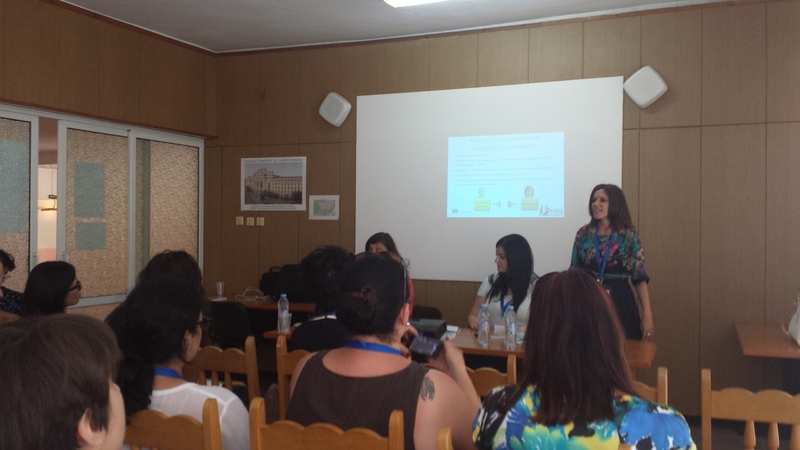 The presentation was followed by discussion on the importance of the supported employment and how it can be introduced in Bulgaria. The event was a good opportunity to establish new contacts with representatives of COACH@WORK target groups. Agreements for future collaboration between Zgura-M and some of the participating organizations were made. 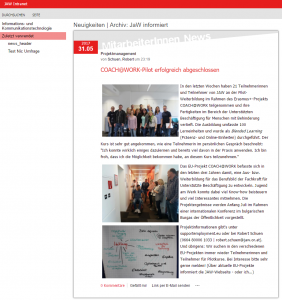 The project consortium of the COACH@WORK project successfully completed and submitted the first project Progress report. 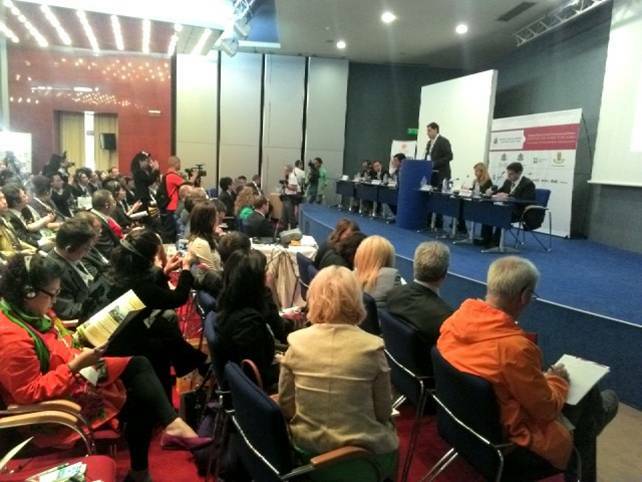 The 4th European Fair of social economy enterprises took place on 26-29 March, 2015 in Plovdiv. 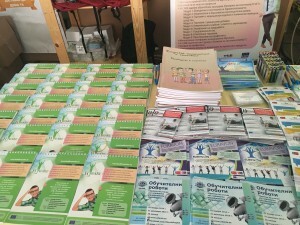 Zgura-M company participated with its own stand at the exhibition, where visitors had the opportunity to learn about the training materials developed in the framework of international initiatives funded by Erasmus + Programme. 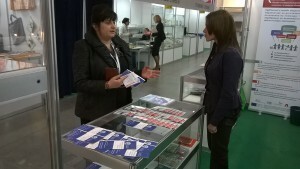 Visits to our stand exceeded 250 a day, and among the projects of great interest was COACH @ WORK. The exhibition was accompanied by thematic roundtables and discussions. 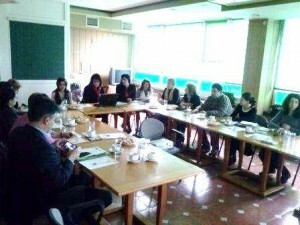 On 27 March 2015 COACH @ WORK project was presented by the Bulgarian partners Zgura-M and NFEDP within the roundtable about international cooperation. 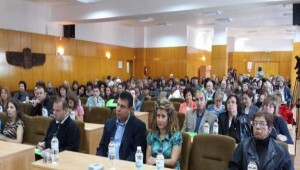 It was attended by about 60 participants, including representatives of state and local authorities, employers, representatives of NGOs and associations working in the field of support of people with disabilities. 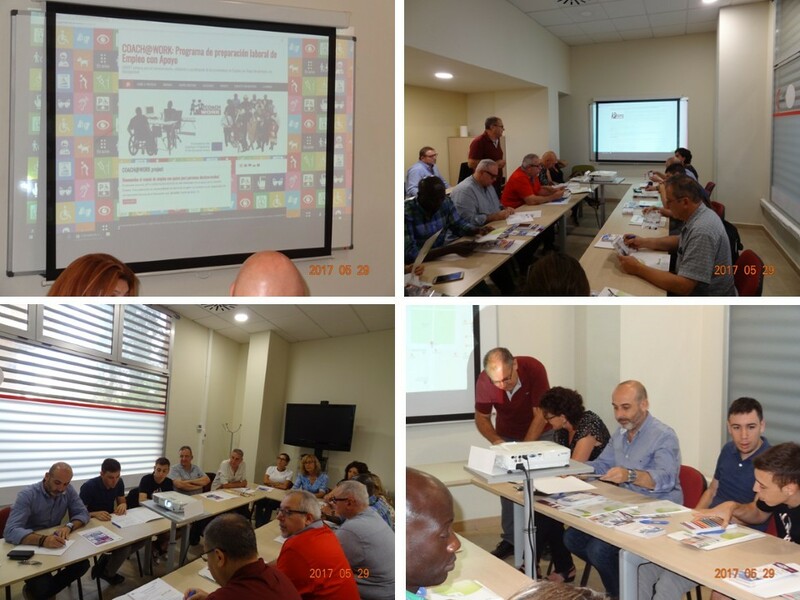 After the presentation of the project participants expressed their interest to be informed about the progress of the project and in particular the process of incorporating the new profession in the national classification and the presentation of the developed training materials. 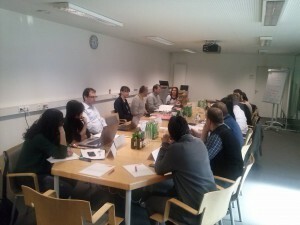 The kick-off meeting of the NAB was very important event in terms of project progress. 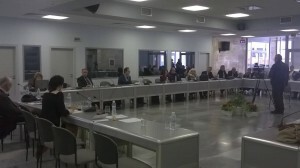 There were representatives from Ministry of labour and social affairs, Ministry of education and science, National agency for people with disabilities, NGO’s of people with disabilities and representatives by Employer’s organisations as well as project partners – ZGURA-M, Interprojects, NFRI and NAVET. During this meeting a thorough review of the draft version of the SE coacher’s job profile was elaborated. 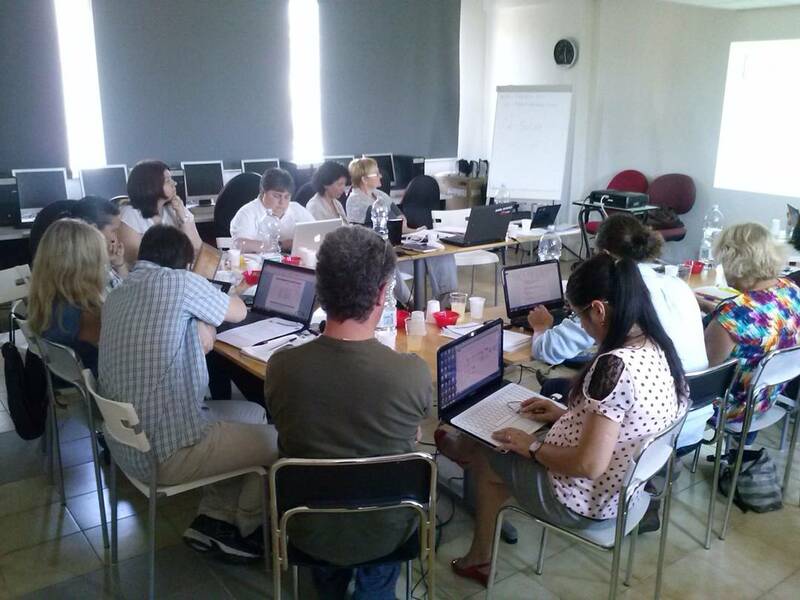 Written feedback by the participants was provided to the project consortium. On 10th and 11th of March 2015 in Graz, Austria the second transnational partners’ meeting took place. 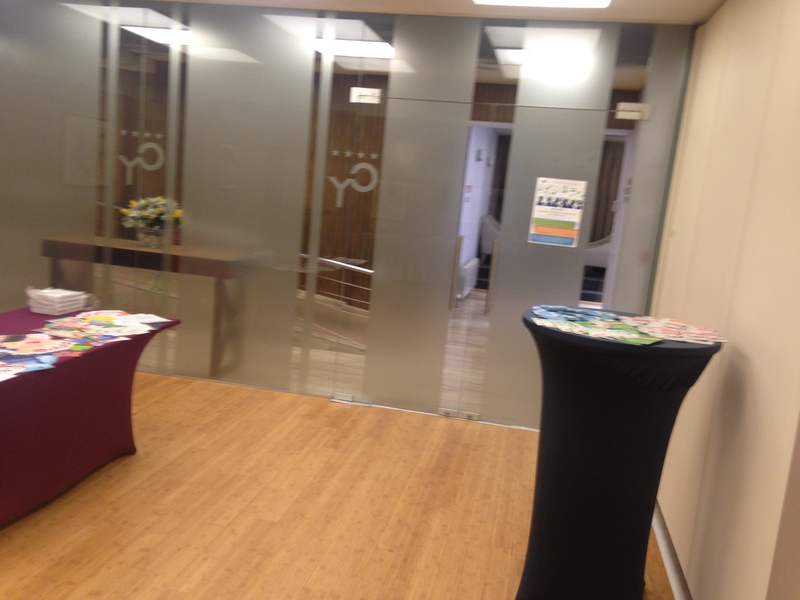 It was organised by the hosting partner Jugend am Werk in their headquarter. Each partner country presented the results from the implemented surveys with Supported employment providers, career counselors, case managers, mediators on the labour market, VET centers, NGO of/for people with disabilities and governmental bodies / policy makers organised in the period 15 December 2014 till 1 March 2015 in Bulgaria, Turkey, Spain and Austria. The results were thoroughly discussed and initial plans for the development of comparative report was held. The partners also discussed the selection of psycho-attitudional, performance based and case assessment models which will be used as a preliminary monitoring of the supported employment coachers in intellectual output 2. They also agreed on the framework for the production of the VET programme for job coachers and divided their responsibilities in the leading of the modules production. 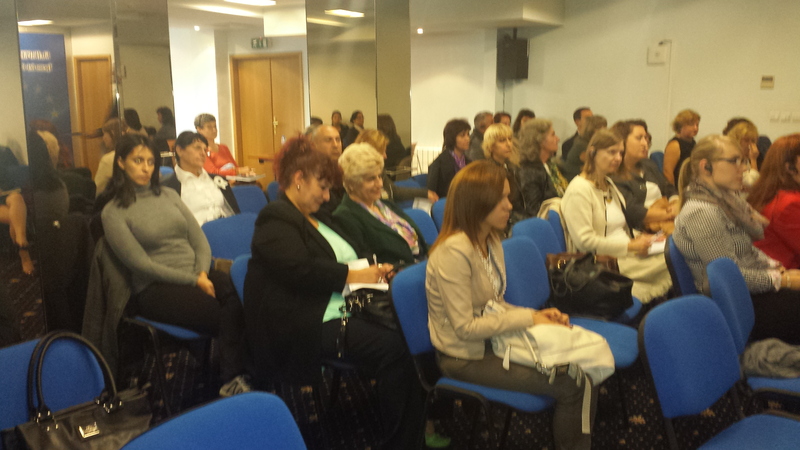 The next meeting will be held on 28-29 October 2015 in Plovdiv, Bulgaria. On 31 March 2015 in Sofia, a kick-off meeting of the members of the National Advisory board will be organised. The hosting partner is the National Federation of the employers of people with disabilities organised the venue and its facilities. 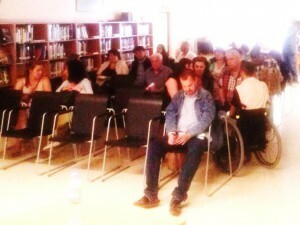 The participants of the NAB are very interested in the project. 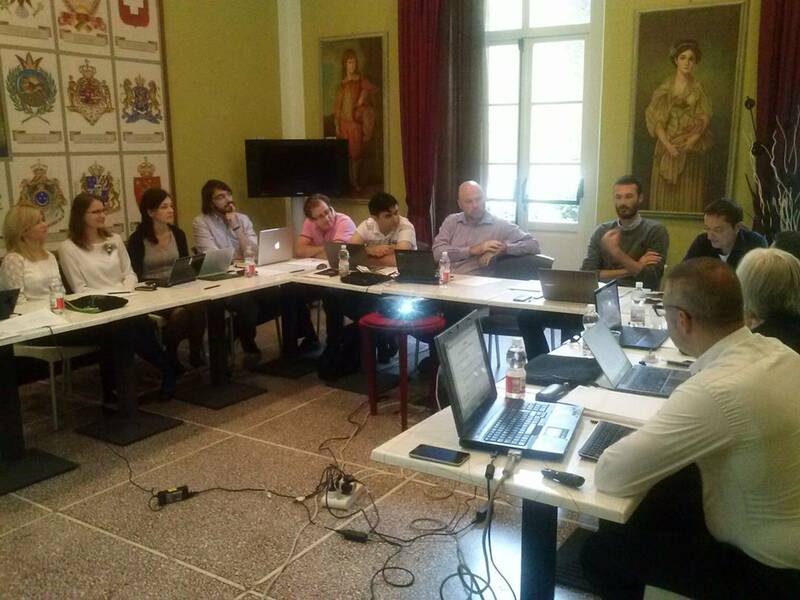 They consider that the aim of the project is very interesting due to the need of specific training by the SE providers in this field, both National and European level. 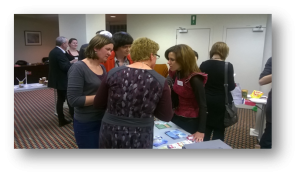 Some participants have a Master of Supported Employment, so they could advise about training materials. In general they consider that the SE providers should be more trained in this field. They can help us to contact with other organisations in the future. 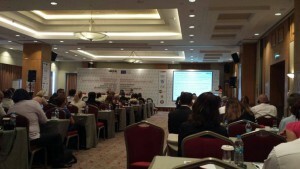 The NGO PODEM belongs to Supported Employment Network. On 19-20 November, 2014, the kick-off meeting of COACH@WORK project took place in Plovdiv, Bulgaria. It was mutually hosted by the two Bulgarian partners based in the city, namely “Interprojects” Ltd. and the Coordinator “Zgura-M”. 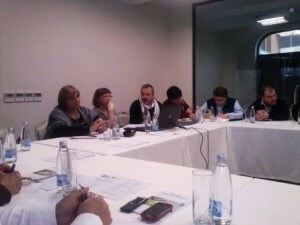 The meeting started with introduction of all partners and continued with detailed presentation of project’s outputs. 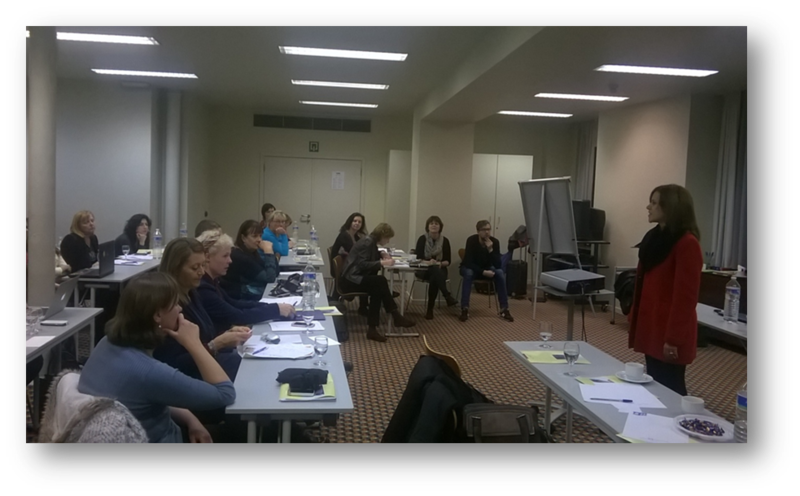 At the end of the first day all partners were aware of what is required in terms of their administrative and content roles. The second day was dedicated to discussion and planning of the project’s research phase. 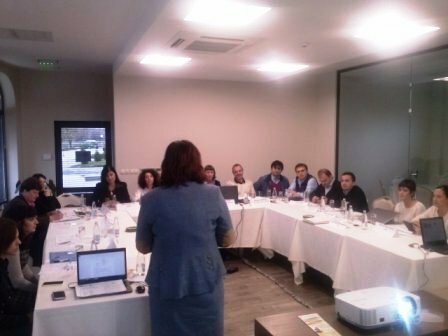 The session was carried out in the form of brainstorming where all partners generated ideas about the best ways to conduct the data collection process. 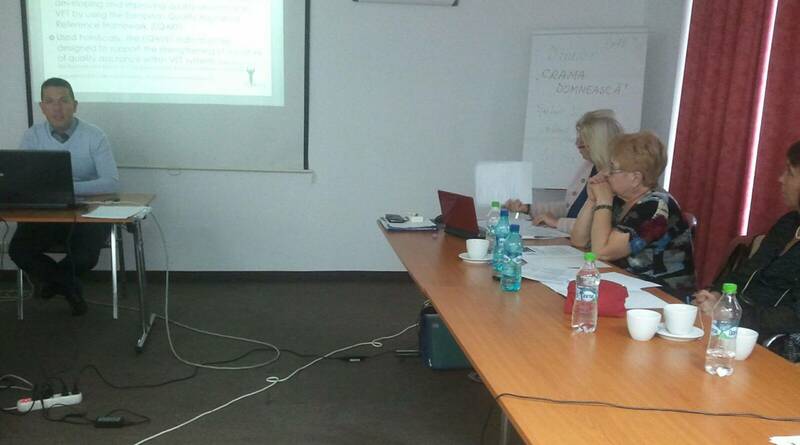 Bulgarian NAVET will prepare a report based on desktop research on the existing policy for Supported Employment services and the professionals involved in them. 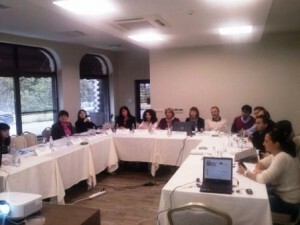 The dates for the next transnational partners meetings were also fixed. The common dinner also contributed to strengthen the interpersonal contacts among partners. To get more information about project’s progress and to find out how the decisions made are implanted you should regularly visit the project website. 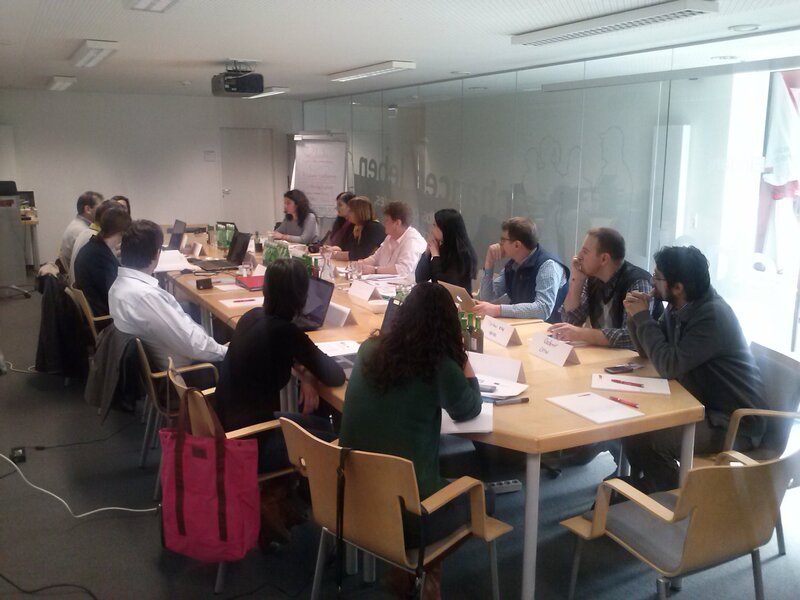 Career guidance and labour market methods. To support the implementation of the C@W project through the provision of process-related evaluation (evaluating project progress, achievements and outcomes; evaluating the roles and of project partners; evaluating mechanisms and strategies for project implementation) at key project stages, providing active and ongoing feedback to the contractor and project partners.Interim partners consultation should include: Survey of project partners at mid-project stage, covering issues such as project progress, partner role in project, project coordination, approaches to national networking and involvement of target groups and stakeholders, etcSurvey of project partners at mid-project stage, covering issues such as intellectual output progress, partner role in development of intellectual outputs progress, methodologies used, approaches to national networking and involvement of target groups and stakeholders, etc.Preparation of Interim Evaluation Report should inculde:Considering observed progress (partner meetings), the results of the interim partner consultation and an interim review of project documentation, an interim, formative evaluation report will be prepared reflecting primarily upon ‘contractual’ versus ‘achieved’ tasks and activities for submission to ZGURA-M LTD (Contractor)Considering observed progress (partner meetings), the results of the interim partner consultation and an interim review of intellectual outputs a report will be prepared reflecting primarily upon ‘contractual’ versus ‘achieved’ intellectual outputs and evaluation of the quality of the achieved intellectual outputs for submission to ZGURA-M LTD (Contractor)Final Partner consultation should include:Survey of project partners towards the end of the project, covering issues such as end project achievements, partner impact upon project, successes and challenges on a national level (national networking, links with target groups, involvement of stakeholders) and potential sustainabilitySurvey of project partners towards the end of the project, covering issues such as end project achievements, impact of the Intellectual outputs upon project, successes and challenges on a national level (national networking, links with target groups, involvement of stakeholders) and potential sustainabilityPreparation of Final Evaluation ReportConsidering observed progress (partner meetings, valorisation events), the results of the final partner consultation and a final review of project products, tools & documentation, a final, summative evaluation report will be prepared reflecting upon ‘contractual’ versus ‘achieved’ tasks, activities, products and results for submission to ZGURA-M LTD.Considering observed progress (partner meetings, valorisation events), the results of the final partner consultation and a final review of project intellectual outputs a final, summative evaluation report will be prepared reflecting upon ‘contractual’ versus ‘achieved’ intellectual outputs and evaluation of the quality of the intellectual outputs for submission to ZGURA-M LTD. (Contractor). The main deliverables for this contract comprise an Interim Evaluation Report and a Final Evaluation Report. Findings and recommendations from the Interim Evaluation phase will also be presented to the project partners at a time and location agreed with ZGURA-M LTD (Contractor). The total number of days should then be provided along with a cost per day allowing the total costs of the external evaluation to be calculated. The launch meeting of the C@W project is planned for 18-21 November 2014 in Bulgaria, please could you also indicate whether your are available to attend this meeting (it is not a requirement of the tender that you attend this meeting). Please submit your tender, in electronic form, to:Maria Goranova (zguraprojects@gmail.com) by 25 October, 2014 at the latest.